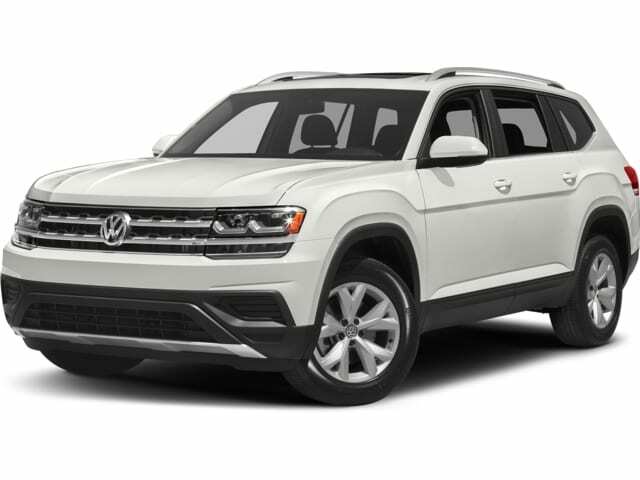 When it comes to the 2018 Volkswagen Atlas, one size really does fit all. There’s enough headroom, legroom, and just plain room to keep you and up to seven of your favorite friends more than comfortable. It comes standard with seven seats and a 3rd row kids will love to sit in. Not to mention enough technology and amenities to help keep everyone happy. If you want to see, feel and touch the great outdoors, the Atlas offers its Panoramic sunroof. It runs almost the length of all three seat rows. If you leave the sunroof open and there is rain in the near forecast, the VW Car-Net mobile app17 can help. It can send you a ‘rain notification’ so that you can return to the car and close it. This vehicle is built for the people in your life. With the 2nd and 3rd rows folded down, the Atlas has 96.8 cubic feet of cargo space. Each row is large enough for kids, adults, or a combination of both to sit comfortably. There’s a total of 17 cupholders, that can hold sippy cups, coffee, juices and more. Carrying up to 7 people will probably mean carrying a lot of portable devices, so every trim level offers at least one USB port. On some trim levels you can get up to three additional USB ports, including two rear USB charging ports.